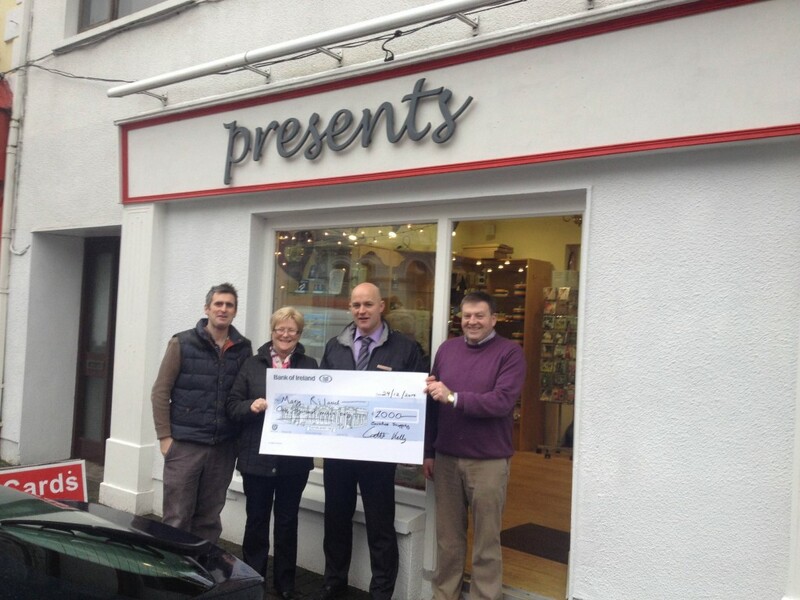 We were delighted to hear that two of our good customers won prizes in the Christmas festival in Swinford this Year. Mary Walsh won €200 in shopping vouchers for participating shops in Swinford and Mary Ryland, who is Mary Walsh’s best friend, won the overall prize of €1000 cash! As can be seen from the attached pictures the ladies were very happy to win and at Presents Gift Shop we were ecstatic that our loyal customers were rewarded for shopping local. This is the second time in the last five years that a customer from our shop has won the main prize during the Christmas festival. This years festival was a great success and we would like to congratulate the festival committee for organising such a great week of events, which ranged from a Paddy Casey Concert and Console Ceremony of Light in Swinford Church to a number of smaller events in the town. The participating shops ran a number of special offers throughout the week and it was a great chance for customers to buy some early Christmas presents. 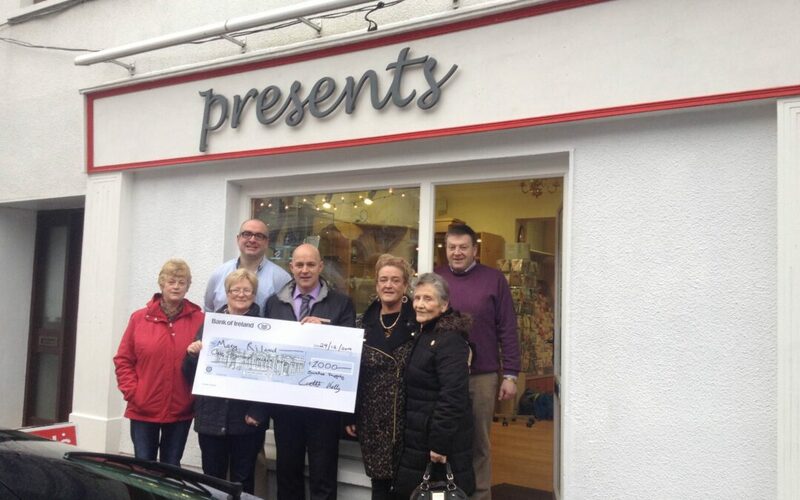 Congratulations again to Mary Ryland and Mary Walsh and thank you for shopping at Presents Gift Shop in Swinford. Ask your friends what they think?